As the old Scottish proverb states, “Necessity is the Mother of Invention.” This is none all too true than in the case of the cannabis industry. As the demands for better products grow larger, more and more technology & innovation is starting to emerge. Therefore, small to mid-sized growers now have many options at their disposal when it comes to choosing their path to a great harvest. WeGrow is here to help you stay informed on the similarities and differences, features, advantages & drawbacks of both indoor and outdoor cultivation. Outdoor cannabis is one of the most ancient plants that have been studied and identified as having psychoactive compounds. It evolved from the steppes of Central Asia. The cannabis plant’s 12,000+ year history is full of references to spirituality, nobility, and stature. It has been used as an anesthetic in ancient medicine dating as far back as 4000 BC. The dump sites of the hunters and gatherers were rich in nutrients. Thus, unsurprisingly they served as great breeding grounds for the marijuana plant. From there, the “holy herb” traveled through the early world. Cannabis finally landed in the United States by way of Mexico in the early 20th century. First, it is important to understand that cultivating cannabis outdoors is a highly unstable venture. Growers who grow outdoors are subject to many factors. These factors can alter the trajectory of their plants in many negative ways. 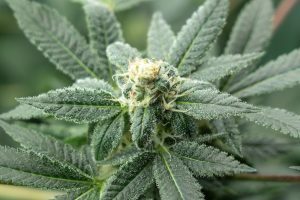 From the unintended cross pollination of the plants due to pollen in the air from male plants, to adverse and unpredictable weather conditions, outdoor grows are certainly stressful. However, there are of course several key advantages to cultivating marijuana outdoors. The natural sunlight, ample space, & healthy soil all work together to stretch your outdoor plants to their highest potential. What your plants will lack in stability, if all goes well, they’ll make up in quantity of harvest. Of course, indoor grows are a much more recent development. 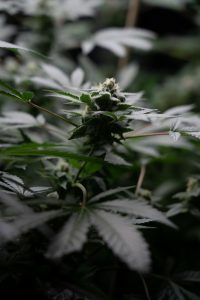 Forced underground due to the unfair characterization of the drug as dangerous, growers who knew better started to develop techniques that would mimic the natural environment suitable for cannabis cultivation. Necessity certainly bred innovation, and now the indoor cannabis boom is in full swing. 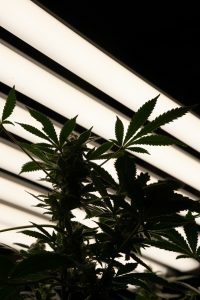 From lighting tech such as VividGro products, to grow help & information, modern growers are in luck. Channels now exist for individuals in legal states to cultivate their own quality bud. This is certainly great news for growers that may not necessarily have the space to grow outdoors, or may not want the hassle of adverse conditions potentially ruining their crop. For growers in states where it is legal to cultivate, the indoor option is the more optimal choice simply because of the level of ultimate control they are able to exert. By following proper water management, using the appropriate tools, and knowing the ins and outs of the process (flower cycle, veg cycle) growers will surely come away with a great harvest and less stress. 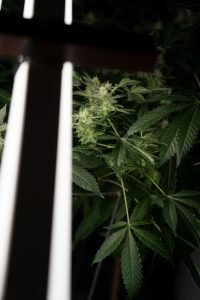 While you may not get the biggest harvests from your indoor garden, dialing in the factors above will create potent, pungent, sticky buds that are less prone to developing seeds or deficiencies. In a head-to-head showdown, we’d have to give it to Indoor grows over outdoors grows, mostly due to the stability of the growing environment. Keep following WeGrow for more exclusive tips, tricks & hacks to get your grow into top form! Happy Growing!